Total area: 400m². Spa area over two levels: Finnish sauna, Swiss stone pine sauna, brine grotto, Turkish steam bath with rock spring, SANARIUM®, ice fountain, panorama veranda, Alpine sauna in the garden, saltwater pool. 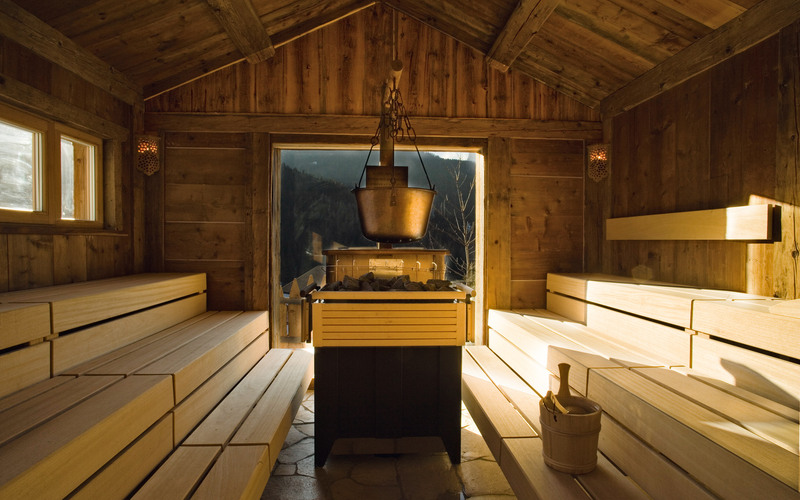 The spa area of Hotel Fanes nestles 1500m above sea level in Alta Badia, in the heart of the Dolomites. 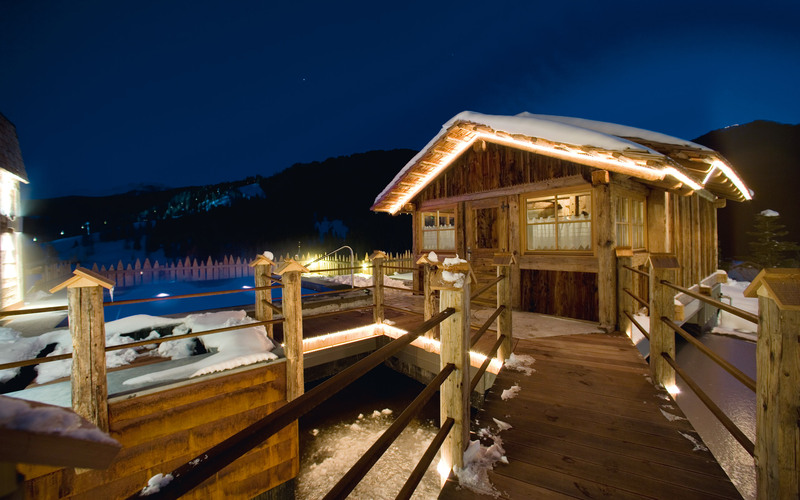 The design picks up on the Ladin Fanes saga – a river, welling up from deep inside the mountain, flows through the extensive spa area and out into a clear mountain lake.